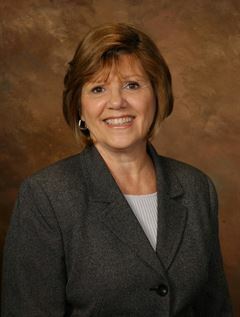 Janet Czekalski | Czekalski Real Estate, Inc. Along with her husband, Wally, Janet joined Czekalski Real Estate in 1965, two years after her mother-in-law, Betty Czekalski, founded the company. Throughout her five decades with the company, Janet has come to value and encourage the agency's supportive, team atmosphere. While she cherishes the people she works with, Janet also appreciates the opportunity to work in the beautifully restored Harrison mansion built circa 1839. Janet is a licensed Real Estate Broker, a Certified Residential Specialist (CRS), an Accredited Buyer's Representative (ABR), a graduate of the Realtors Institute (GRI) and a State Certified Residential Appraiser. Like her co-workers, Janet strives to provide "worry free" transactions and credits her honesty and sincerity for helping her clients make the most informed decisions possible by disclosing both the positives and negatives of every property. A long-time resident of Harrison Township, she is a graduate of St. Joseph's High School, Harrison Township as well as attending real estate sales, broker and appraiser classes at Penn State. In 1985 the Greater Allegheny Kiski Area Board of REALTORS® named her REALTOR® of the Year and, along with her husband, Wally Czekalski, received a Lifetime Achievement award in 2016. Before joining the family business, Janet worked as a secretary for the military police on the island of Okinawa, Japan. In addition, Janet graduated from the FBI Academy, Pittsburgh. Janet and Wally have three children and seven grandchildren. Janet likes to spend her free time reading, traveling to sunny locations, cooking ethnic foods and spending time with family and friends.